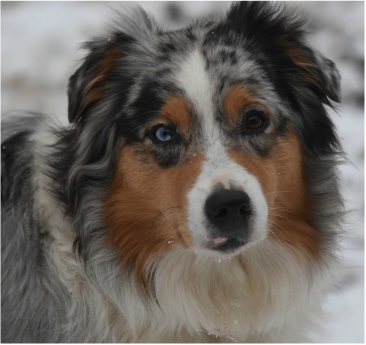 ZuZu is more of the tradtional aussie in that she needs a moment to warm up to you. 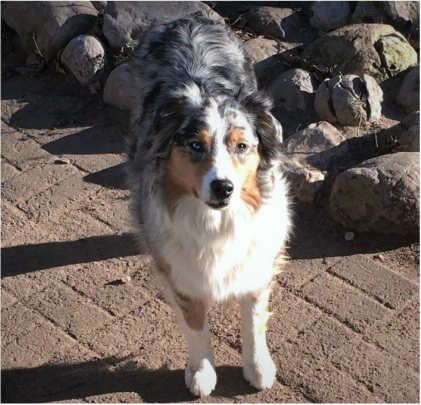 She's a sweet girl, a bit reserved but very smart and loving. Suede is as beautiful on the inside as he is on the outside. 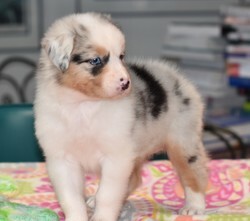 He's the perfect boy, awesome temperament and I think he is going to bring to this litter, just what the doctor ordered. 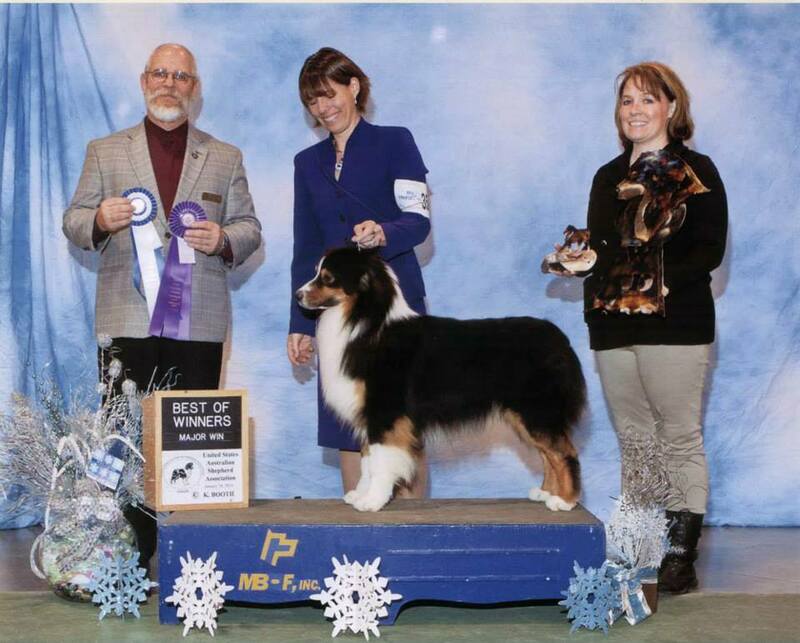 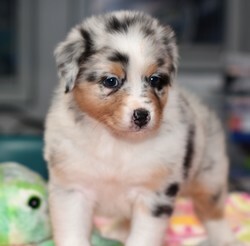 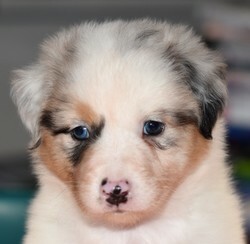 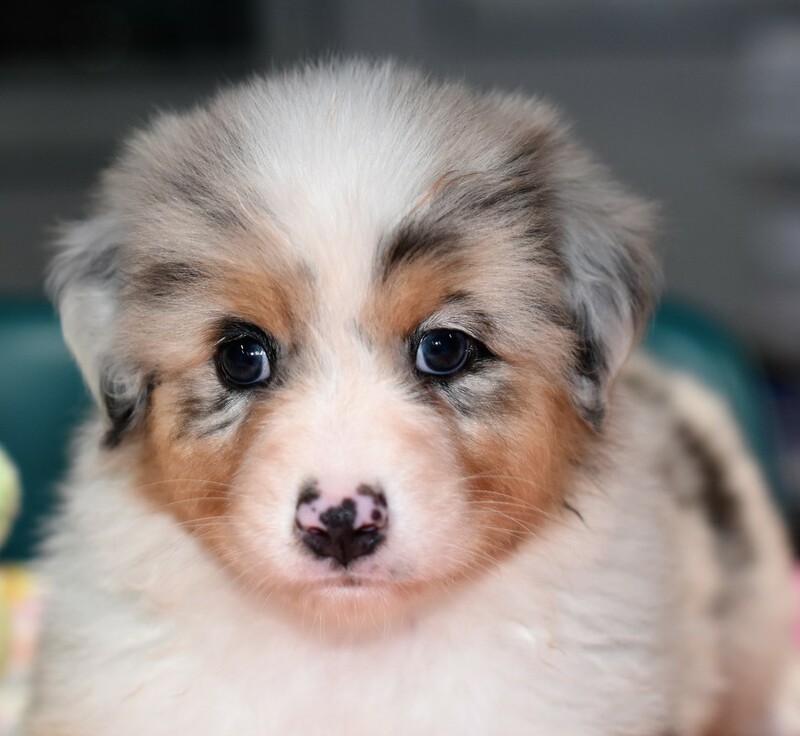 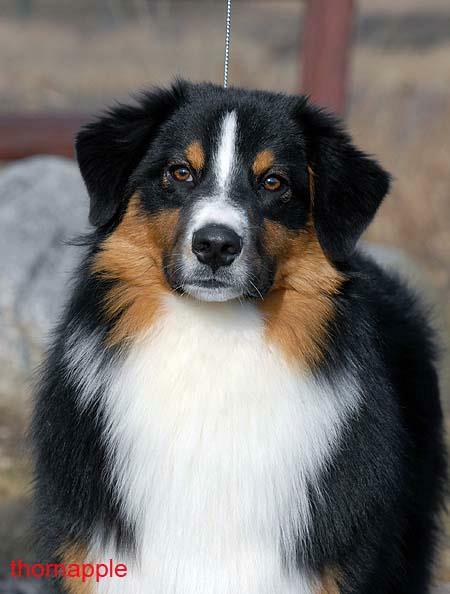 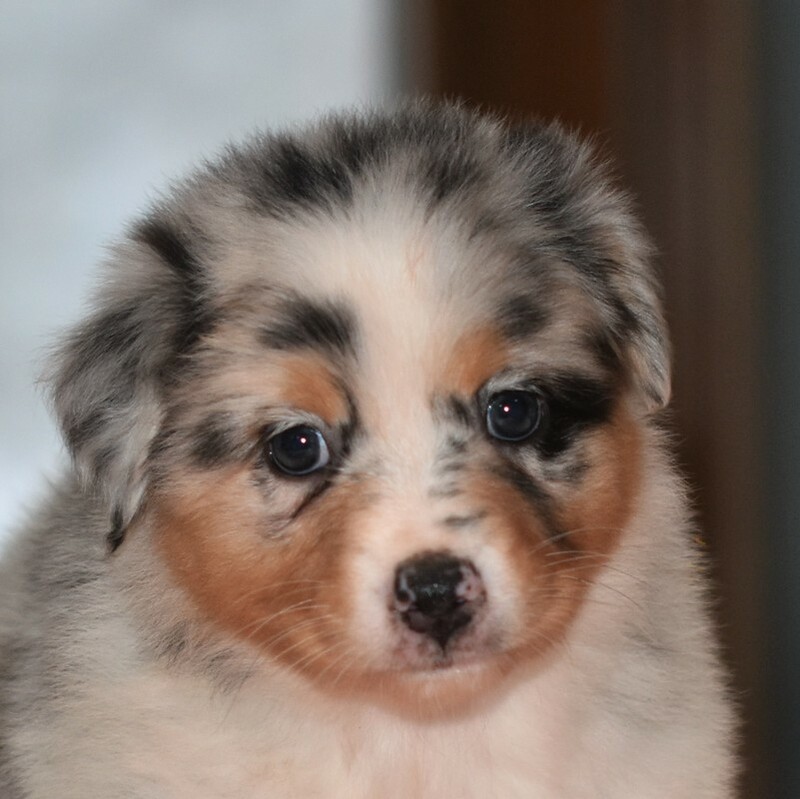 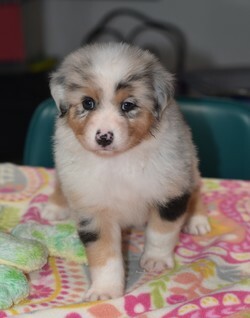 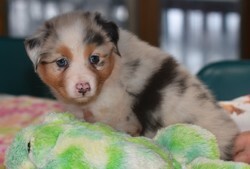 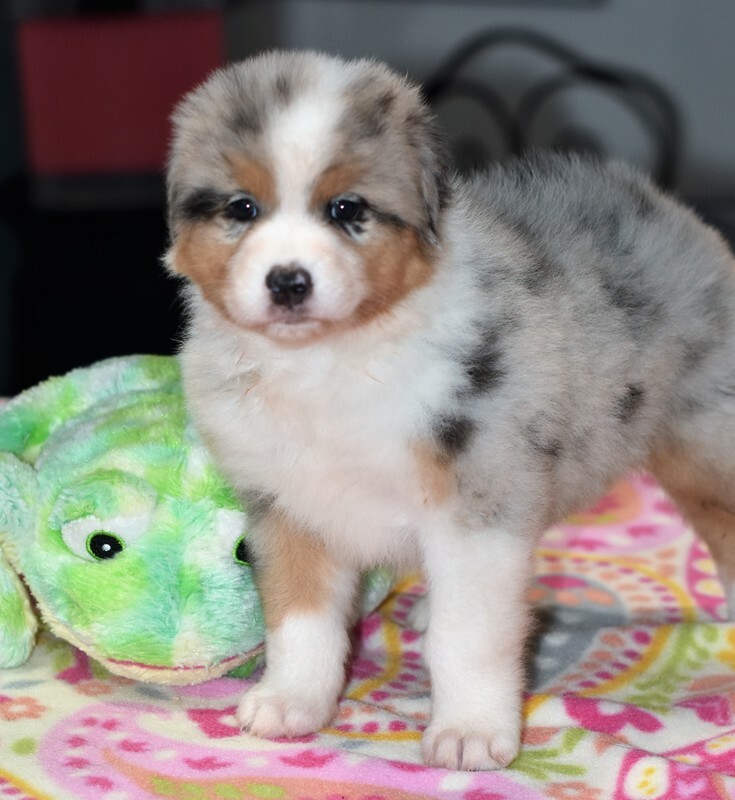 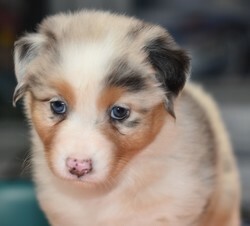 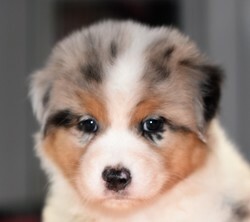 He was bred and is owned by Thornapple Australian Shepherds.